40 experts. will be speaking. Starts at 9:00 AM. Join us at muCon London in November 6th and 7th 2017! Join muCon London 2017, the go-to conference to discover and learn all the latest developments in the microservices world. muCon is crafted for and by the community and 2017 will be no exception! We are looking to gather your ideas on what this year's #mucon should look like. Which topics or themes would you like to featured? Which experts would you like to learn from? Which skills would you like to learn or share? Our first program committee meeting will be in April 2017 and your input will help us design our Call For Papers. Help us create the best conference yet, get involved and submit Your Thoughts here. Thanks to everyone's thoughts, input and talk proposals, we've been able to curate a fantastic programme. Topics explored are serverless architecture, protocols, data science and deep learning, kafka, microservices integration, TDD and API, security, AWS, Zipnik, Spring, Lagom... and many more! Follow us at #mucon to hear all the latest news. Don't miss the muCon Bytes! Join the µCon Bytes, a new meetup series by Skills Matter! The best way to keep conference blues at bay. The programme is being announced and updated constantly - Keep an eye on these pages to keep up to date! Microservices give you many options. You can pick different technologies, mix synchronous and asynchronous integration techniques or embrace different deployment patterns. But they also give us different options in how we think about securing our systems. Done right, and microservices can increase the security of your vital data and processes. Done wrong, and you can increase the surface area of attack. This talk will discuss the importance of defence in depth, discussing the many different ways in which you can secure your fine-grained, distributed architectures. Join this talk is you're a developer, an architect, a technical leader, an operations engineer and if you're interested in the design and architecture of services and components. You should come away with a working framework for thinking about AppSec, and also understand how microservices can help (or hinder) building a secure system. Find more info on Sam Newman's book "Building microservices" here. 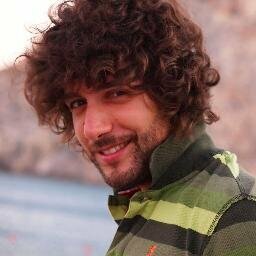 You can find Sam on Twitter at @samnewman. The Cake Solutions team builds highly distributed and scalable systems using Kafka as their core data pipeline. In this talk, Jaakko will share with you the patterns the team has successfully employed in production and provide the tools and guidelines for other developers to choose the most appropriate fit for given data processing problem. The key points for the presentation are: patterns for building reactive data pipelines, high availability and message delivery guarantees, clustering of application consumers, topic partition topology, offset commit patterns, performance benchmarks, and custom reactive, asynchronous, non-blocking Kafka driver. I work as a software engineer at Cake Solutions Ltd. I have a passion for robust systems, functional programming, and free and open source software. I started my career working as a web developer, and these days I'm responsible for developing backend solutions for global IoT platforms using Scala and the SMACK (Spark, Mesos, Akka, Cassandra, and Kafka) stack. Jaakko tweets at @lepovirta, and his website can be found here. But what about when the complexity of the business system isn't simple? What about systems where we need to aggregate and combine services to deliver useful business functions that cut across more than one simple service? Event-driven, push-based message passing is often a fundamentally flawed architecture for complex business problems. 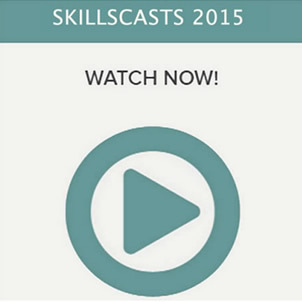 In this talk you will discover a resource-oriented view of microservices. Peter will share the trade offs between push and pull architectures. You will explore what lessons the Web's resource oriented architecture offers for complex composite services. Peter will also share how the choice of data format has a profound influence on the composability of microservice solutions. 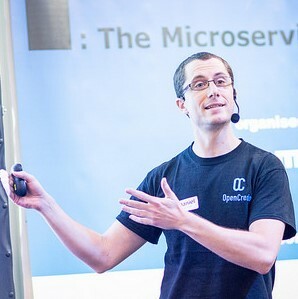 In this talk you will look at the history of the concepts around microservices. You will also look at what has changed vs what has stayed the same, how have the architectural goals changed? What areas of learning are worth following and what is just a fad? What are the core concepts and what is cruft? Distributed tracing can be used to correlate business activity across multiple components and also for latency analysis: blaming components for causing user perceptible delay. In today's world of microservices, this can be tricky as requests can fan out across components and data-centers. During this session you will discover how to set up and use Spring Sleuth and how to feed trace data into a variety of backend systems analysis, including ELK and Zipkin. You'll learn how the tracing model works, and how to safely use it in production systems. In this presentation, you will focus on 3 examples of AWS services (Elastic Beanstalk, Lambda + API Gateway, and ECS is AWS) that can easily deploy and scale with any micro service architecture, written in any language. Elastic Beanstalk is an AWS service that can supply services like EC2, ELB and etc. This service configures those features for an application in a way that all the user needs to do is deploy the application using the application templates of supported platforms (Go, Java, .NET, Node.js, PHP, Python, Ruby, Docker). This service does all the work for your application. ECS is AWS container service that allows deploying your containers and manage them with ease, the service supports Docker so you can deploy any type of application as long as it containerised. Josh is the managing director of Devopspro. He is an expert in DevOps, Linux, Continuous Integration and Delivery. His expertise also includes Cloud computing, Monitoring, Linux Containers, Version Control, Issue Tracking, Code Review, Development process, Application performance, Analytics, Auto Scaling and Durability. Each microservice instance change can be measured. By connecting your quantified business goals to the technical metrics of the live system, you can verify each change. Does it improve the metrics or harm them. If it does harm them, then rollback the change. The rollback is not a major event - it is just the deactive of a single microservice instance. By using immutable microservice instance as the unit of deployment, you enable the use of many risk reduction strategies without needed to build custom implementations. From partial deployment, to canaries, to bifurcated verification, to blue-green deployments, and many others. All of these deployment models are defined as operations on microservice instance activation states. By connecting the state of the system with your business goals, and by operating at speed within a defined error budget, you can fully control the risks of microservice deployment, without need the overhead of traditional release planning. As development organizations rush towards microservices and CI/CD, they're finding that their present understanding of their architectures fail to enable agility. A visible architecture is a physical model of a system created by architecture teams using Duplo® bricks, with strings representing data flows. Visible architectures enable teams to collaboratively understand the “as-is” architecture and make better choices on the “to-be” architecture. The structured, yet creative freedom afforded by the technique enables teams to explore challenging concepts. For example, in one project, teams from Cisco represented known problems as “monsters” and outdated technologies as “dinosaurs” using plastic toys. In another project, teams from Rackspace used Visible Architectures as means to rapidly integrate acquired technologies. 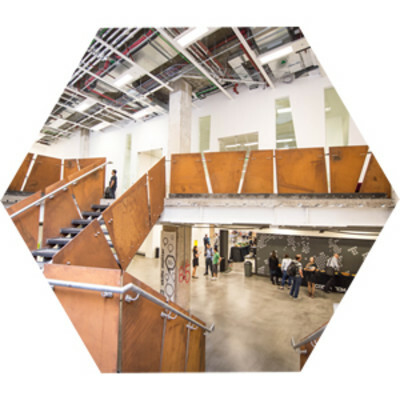 In this talk Luke will present an overview of the process, how to document desired changes in a structured manner, and how to augment Visible Architectures with powerful business frameworks that enable architects to "speak the business language" necessary to convert models into realities. All is not completely rosy in microservice-land. It is often a sign of an architectural approach’s maturity that in addition to the emergence of well established principles and practices, that anti-patterns also begin to be identified and classified. In this talk Daniel will introduce the 2016 edition of the seven deadly sins that if left unchecked could easily ruin your next microservices project... This talk will take a tour of some of the nastiest anti-patterns in microservices, giving you the tools to not only avoid but also slay these demons before they tie up your project in their own special brand of hell. Lust - embracing the latest and greatest technology without evaluating the impact incurred by these choices. This is an all-new 2016 version of Daniel's popular 'deadly sins talk' that was recently presented at QCon NY. The talk received 94% highest rating, and was the fifth most attended talk at the conference. Daniel plans to continually improve the presentation based on his learnings and attendee feedback. In 2012 the system that fed video into iPlayer was a monolith. In the nine months between Jan 2013 and Sept 2013 we replaced it with a new system built on a microservices architecture and running in AWS. This allowed the BBC to more than double the amount of content available in iPlayer and increase the amount of HD content by 700%. At the same time it has allowed us to move to a continuous delivery model and our developers can now deploy a component to live in under 15 minutes and perform dozens of live deployments every week. In 2014 we started serving simulcast content (on-line versions of our TV channels) from this new microservices architecture and during 2015 we added Radio. We now also support Podcasts, Audio and Video Clip Publishing, BBC Store and S4C. This year we have used the system to serve over 300 hours of live content from the Rio 2016 Olympics and for one event this summer we served over 2 million concurrent users. Stephen Godwin is a Senior Technical Architect at the BBC where he is responsible for designing the systems that provide audio and video to BBC iPlayer and iPlayer Radio. He joined the BBC in 2011 and designed the systems that controlled the 24 live streams the BBC made available online for the London 2012 Olympics. Since then he has migrated the systems that power iPlayer to a cloud based microservice architecture. In this talk Russ Miles, Lead Engineer at Atomist.com, and Sylvain Hellegouarch, Engineer at Atomist.com, through story and music (!?) will name and shame those challenges and then show how they can be overcome with the new tools coming into the space. Keynote: You've Got to be Willing to Take the Hits - The Future of Robustness for Microservice Deployments? How will you be deploying and managing Microservices in production in the next 1, 2 or 5 years time? More complex systems require more robustness and self-healing. How will we achieve that? Anne will be talking about the power of orchestration and containers, and how that power will be harnessed to produce Microservice systems that can take the knocks and get back up again. 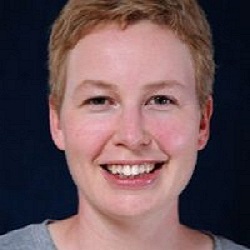 Anne Currie, currently chief strategist at Container Solutions, has been in the tech industry for nearly 25 years, working on C BackOffice servers and DistSys in the 90's, eCommerce platforms in the 00's and devops in the 10's. She is a frequent keynote speaker on the ethics and engineering of the cloud, the author of "The Cloud Native Attitude" and the organiser of London's Coed:Ethics 2018, the first conference devoted to ethics for developers. In this talk Michael will explain how to use test driven development for APIs and even further how TDD can drive an API Design towards a more usable design, and how to build an well-tested ecosystem of microservices. This approach is applicable for different kinds of services (REST APIs, websockets, industrial protocols). Independent from the type of interface we always ran into similar problems when we build an ecosystem of services. We have to deal with dependency, asynchronous behaviours, fallback mechanisms, endpoint versioning and sometimes even shared databases. It's not trivial to apply TDD to these kinds of problems cause you have to think of scenarios. But there are ways of identify these scenarios and to test them. As an API specialist Michael worked with various clients designing, building, testing, maintaining and even redesigning private and public services. Based on his project experience he developed a practical approach to apply TDD to APIs in microservice ecosystems. In this talk you will look at the differences between micro-services and monolith architectures and their relative benefits and disadvantage. You will explore design patterns which will allow you to utilize these different strategies as a deployment concern without significant changes to the business logic. You will learn how micro-service architecture can be implemented under low latency constraints of 10 - 100 micro-second latencies, in Java in particular, and how these strategies reduce the impact of serializing data and logging. Peter tweets at @PeterLawrey, and his blog can be found here. I am a Technical Lead Engineer at Newsweaver. I am passionate about enabling engineers to build great software with speed. I am helping teams to adopt DevOps practices, breaking silos, setting up deployment pipelines and continuously improving their processes. You will learn about using language agnostic micro services approach to handle data and provide interactive analytics in a Deep Learning / AI startup. You will explore use cases and an example of a distributed queue based architecture for micro services. Andrew and John will also share their experiences of using microservices at Tractable. Andrew is a software engineer specialising in realtime data systems. Andrew has worked at YC Startups and at Apple on applications ranging from Ticketing to Genetics. Currently building data systems for training and exploiting Deep Neural Networks for Computer Vision. John is studying for a PhD at the University of Cambridge and the Max Planck Institute for Intelligent Systems, Tübingen in Machine Learning. Prior to that he worked as an engineer at Tractable implementing scalable Machine Learning algorithms. Software security is hard. Software security in Microservice Systems is even harder. Microservice-style software architectures have steadily been gaining popularity in recent years. They offer many benefits over traditional monolithic software products, however they also introduce new challenges - one of these being security. In recent years David has worked on this problem in several independent projects, and this talk will draw on his learnings within the topic of authenticating end-users. David will describe, compare and evaluate several authentication options from the perspective of how secure they are and how well they comply with the qualities of a well-designed microservice system. You will leave the talk with suggested evaluation criteria and guidance for implementation based on their use cases. 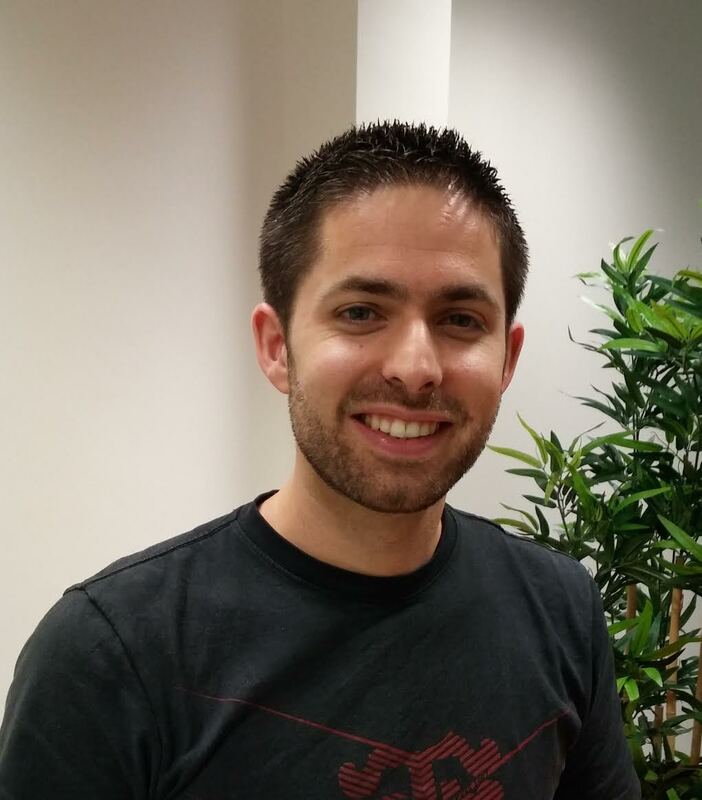 David is a software developer with ~8 years of experience working with Java applications, with OpenCredo since 2013. In the past few years he's worked on microservice-style systems delivered for various clients; using open-source technologies. Deploying a new version of any app can be a tricky thing to do. Yet, we often make it even harder on ourselves, by keeping manual actions in the process; deploying big releases instead of small iterative chunks or even keeping new features in branches for a long time before moving everything to production. In this talk, Damien will talk about how him and his team are applying several various patterns to improve deployments of the Heroku platform, and how you can apply them to your own app so you feel confident if deploying a change on a friday. Software Craftsman at Heroku. If deploys were built by hand, I would have to do them all myself. Fortunately, we've invented automation. His blog can be found here, and David tweets at @dmorgantini. Svetlana Galkina is a full-stack web developer with an experience of building software in different domains, currently employed by metabolic engineering institute in Technical University of Denmark. Michael Brunton-Spall is the head of digital security for Government Digital Service. He helps set and assess security standards and advises on building secure services within government. 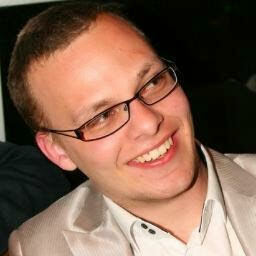 Previously Michael has worked in the news industry, the gaming industry, the finance industry and the gambling industry. Robert Shield is a Principal Software Engineer at the BBC where he has been for 6 years, working previously on Video Factory and live audio and video streaming. He is currently leading a team of engineers developing a micro-service orientated architecture implementation of file based delivery, ensuring BBC programmes are fit for broadcast and delivered to playout on time. 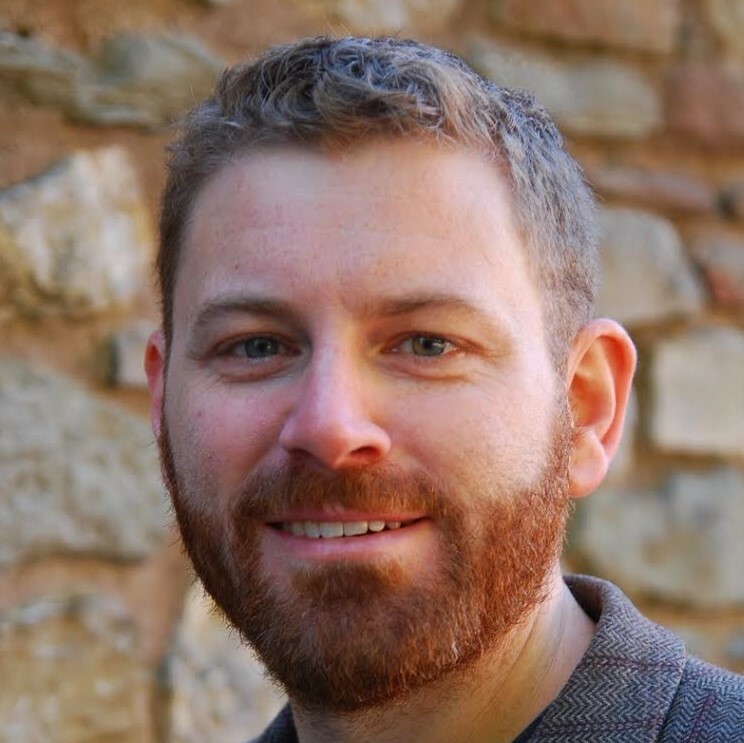 Simon Hildrew is currently a Lead Software Developer at the Guardian where he has done everything from running the operations team, overseeing the migration of several products to AWS to building the Guardian's continuous delivery platform. His interests are in functional programming, DevOps and most recently serverless architectures. Have a look at some of Simon's working projects. Simon tweets at @sihil. After leaving Spain and working for 3 years at CERN, in Geneva, as a Full Stack Developer building a Database-as-a-Service platform, Daniel moved to London to join SKIPJAQ. Daniel is a Senior Engineer at SKIPJAQ, where he is also in charge of the isolation of AWS environments for load testing. He is an experienced Java DevOps engineer and over the past few years has worked intensively with cloud solutions and container architectures. Find out more on Skipjaq at @SkipjaqInc. The monolith applications world got you used to services connected to each other in direct, easy ways. The cloud environments and the modern and current microservices architectures with virtual or containerized setups where the instances can vary in number and location, create an ever-changing context where the communication between services becomes a bit more complicated. Alex will explore some of the different patterns of Service Discovery in a microservices architecture, and focus on pros and cons, while also mentioning concrete examples of tools and software available. A true lover (and geek) of all online areas and the Internet, I have many years of experience in software architecture and development of high availability, high traffic and algorithmically complex environments and applications. I live in the Internet since 1994, and have worked professionally in most online areas since 1996. Alex tweets at @alexramirez, and his website can be found here. Much research and effort has gone into orchestrating distributed components, but how should they actually communicate to give the properties that you want, AP, resilience, antifragility, self healing, graceful degradation? This is the realm of communication protocols, and this talk introduces the core concepts you need, and shows how to use various protocols and implement new ones using a new Microservices Toolkit from Simplicity Itself and Sky CIS Tech Futures: Muon. Covering async vs sync, event based systems, transactional behaviour over distribution and far more, this is a dive deep into how modern Microservice systems should be built, and how you can get there. *How can you support a constantly changing state? *How can you move streams of data across our microservice network? *How can you split system state across multiple processes, containers or vm? Enter Upring. Upring is a library to support application-level sharding of “live” data, it supports node streams, and enables every developer to implement application level sharding. What can you shard? As an example, Upring allows to connect two user with a bidirectional communication (the beloved websocket) across hundreds of machines. At its core, it is a state discovery system. Microservices architecture are becoming a de-facto industry standard, but are you satisfied with the current state of the art? We are not, as we believe that building microservices today is more challenging than it should be. Lagom is here to take on this challenge. First, Lagom is opinionated and it will take some of the hard decisions for you, guiding you to produce microservices that adheres to the Reactive tenents. Second, Lagom was built from the ground up around you, the developer, to push your productivity to the next level. If you are familiar with the Play Framework's development environment, imagine that but tuned for building microservices; we are sure you are going to love it! Third, Lagom comes with batteries included for deploying in production: going from development to production could not be easier. In this session you will get an introduction to the Lightbend Lagom framework. There will be code and live demos to show you in practice how it works and what you can do with it, making you fully equipped to build your next microservices with Lightbend Lagom. I've been working at Prezi for more than 4 years, during those years we changed our architecture from one django application running on physical machines to bunch of small services running on virtual machines at AWS. We faced all the typical microservices-related problem and figured out the solutions that matched our needs the best. Obviously we are far from finished, as the company and the architecture grows more and more problems come to the surface, part of my job is to have a proper plan to minimize the risk and eliminate the pain of those problems. In my spare time I either work or play the piano, but I also try to spend with my family as much time as I can. Knowing what's happening in your system is key to effective monitoring, troubleshooting, and crisis resolution. Unfortunately, when your microservice ecosystem scales to dozens or hundreds of microservices and every user action involves 10 microservices to complete, it becomes incredibly difficult to have that needed visibility and insight. At Jet, they want to know the current state of every distributed process, numbering a few hundred million per day. To gain this visibility the team coupled a common communication protocol which provides an ID to correlate all the messages in a single process with telemetry collection for every act of communication between microservices; pulling this data together results in a stream of data from which the current state of our 100 million daily processes can be viewed with ease. This stream of data allows the Jet team to effectively build metaprograms which operate on the state of the distributed system. For example: monitoring for end-to-end SLAs, checking the status of any single process, powering your Ops platform, and automated integration testing of an entire distributed system. This talk will share with you what the Jet team has done to build this real time, holistic view of our 700+ microservice architecture, so that they can monitor every single process for completion, validate that every single process is behaving as expected, empower their operations team to investigate and triage long running processes (e.g. catalog management and clean up). The talk will cover the DrOrpheus communication protocol they use to create their distributed process context, the telemetry data collection architecture, and the XRay real time telemetry processing platform which enables them to convert billions of telemetry events per day into many different, but accurate, views of their distributed systems state. Directory of engineering at Jet.com. Building distributed systems and microservice platforms. Previously, I've been a CTO for a small start up, engineered distributed systems, and did research into scientific visualization. Erich tweets at @egerhardess , and his blog can be found here. So you’ve embraced μServices and Continuous Delivery but as the number of your μServices grow, it has become harder and harder to keep your releases co-ordinated. Many resort to release trains to manage their deployments, where you can only do releases for a given service at a given time or in a specified order, but wouldn’t you like to not have to worry about any of that coordination, no matter how many μServices you need to deploy. Over at Ocado, they have managed to create an environment where they are able to release up to 35+ μServices at any time and in any order you want, asynchronously. Clayton and the Ocado team would like to share with you how we are doing it. Adopting this approach has allowed the Ocado E-commerce team to actively allow 20+ developers each able to continuously push changes all the way through to production in under 40min from the moment the change is committed, without needing to worry about the changes other developers are pushing through and no need to worry about each developer having to coordinate their releases and work with each other. Currently a Software Engineering Team Lead at Ocado Technology where we are responsible for the delivery of the E-commerce solution to the Ocado Smart Platform in an Agile manner. I've been with Ocado for 3 years now. I have been working in Software development for the last 11 years where I have focused on the redesign and rebuilding of systems in an SOA approach which has naturally progressed to using micro-services and Continuous Delivery. I have strong interests in agile methodologies, continuous delivery and SOA systems design. We're delighted to welcome a fantastic range of experts and sponsors to this year's conference. On these pages, you'll find a heads-up on some of the content they'll be sharing at muCon in London this year. 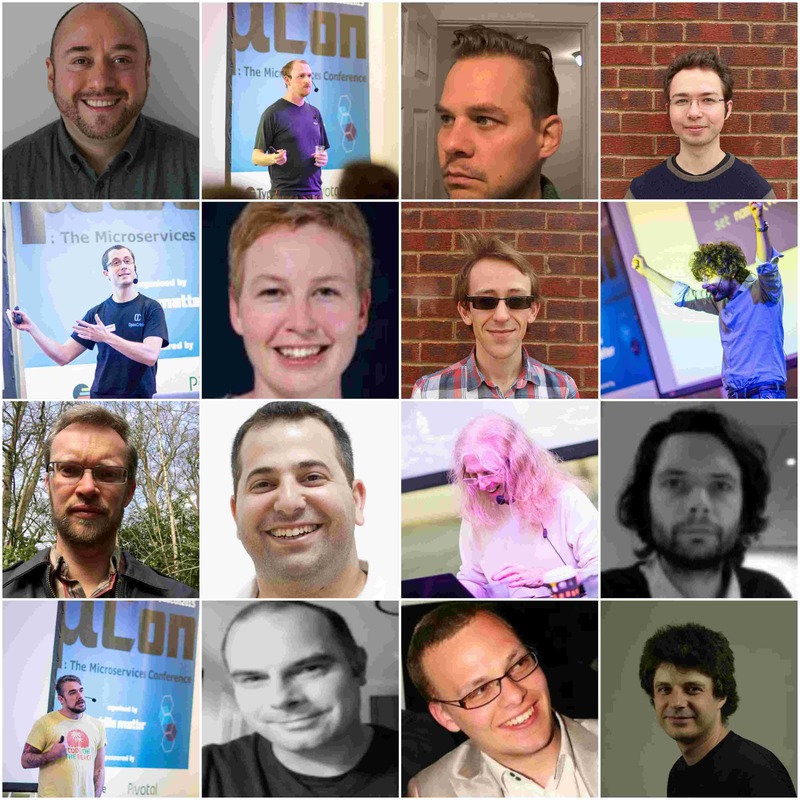 Looking forward to #muCon London 2016? Share it! 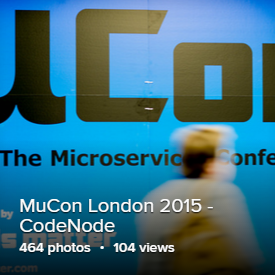 Looking forward to muCon London 2016? We'd love to hear what you are most looking forward to! Pierre Vincent tells you why you should not miss muCon London 2016! This year will be my second time at muCon and first time as a speaker. I'm excited to share my thoughts on the reality of working with Microservices, specifically with API testing. API testing has been one of the first problems we faced in Newsweaver when transitioning from a Monolithic application. Unfortunately, testing API stability can quickly turn into an end-to-end testing nightmare: slow, brittle and painful to maintain. Consumer-driven contracts came up in our initial research and as we tried them out, it became quickly clear that they were bringing huge value in our testing pipeline. My talk should be very accessible, anybody with basic knowledge of RESTful APIs will be able to follow and hopefully I will be able to convince you that Consumer-driven contracts are the way to go to speed up your build/test/deployment pipelines! Last year's conference was great, both for learning new ideas and for getting validation that we were moving in the right direction in our development. This year's line-up is even more impressive and it's going to be tricky to choose between the two tracks at times - I'm especially looking forward to hear from Sam Newman, who has been pretty instrumental (through his book and his talks) to the way we have worked in the last couple of years! Find out why Damien Mathieu cannot wait to share his thoughts with you at muCon 2016! I am very excited to join muCon 2016, where I will be sharing my thoughts on shipping reliable software, being confident that a deployment will not break anything and more importantly, that if it does break, you can fix it in a matter of seconds. For me, the best part of the microservices community at muCon is sharing with others and learning from them. It's awesome to share with other developers on what we do and how we do it, so all of us can do better. At muCon 2016, I most look forward to learning about microservices obviously. More specifically, how people are building them, and deciding when to split a codebase into two. My talk with be enjoyed by anyone who's ever felt uncomfortable deploying a change. Let's get rid of that and always be confident we can ship. I look forward to meeting all of you in November. It's going to be an amazing conference! I am excited to joining muCon London where I will be sharing my thoughts on Scaling State. Microservices allows us to develop systems based on small, heterogeneous components. Microservice systems are stateless components which we can start and destroy at will. How to build (pseudo) real-time systems? How can we can deliver real-time changes to our data? How can we interconnect two clients via a duplex connection? In my “Scaling State” talk, we will walk through a well known technique to arrange live and dynamic data: the consistent hashring. We will walk through Upring https://github.com/mcollina/upring, a framework to build applications on top of the hashring. The best thing about being part of the microservices community at muCon is the diversity of the approaches being presented. The microservices field is still extremely young, and there are multiple and different ways in which we could implement this new architectural pattern. At muCon 2016, I most look forward to learning about the novelty from last year event. Seeing what has changed, what others have learned, and how others are solving the same problems is what thrills me the most. My talk will be enjoyed by anyone who is interested in distributed systems, databases and whoever wants to delve a bit in new ideas. In “Scaling State” we will question the role of infrastructure in a microservices architecture. Can we build the infrastructure as microservices? I think the most anticipated/exciting development within the microservices community over the next 12 months will be a consolidation of the methodologies and the technologies used in real projects. We will see a convergence of transport protocols, as an example. On the other end, I am very happy to read the crystal ball for you. This year at muCon London I’m looking forward to giving everyone a preview of the biggest fight of 2017 — Microservices vs Resource Efficiency! I’ll be talking about the IT “comeback kid”, resource efficiency — the biggest hits it has taken (developer productivity, the Cloud) and the comebacks it has made using Moore’s Law and virtualisation. But resource efficiency is finally facing possibly its greatest ever challenger — Microservice architectures. All our futures depend on a solid fightback. The Data Centre industry already uses around 2% of the world’s energy. If we keep scaling up as we are but we maintain our current levels of DC efficiency the global ecology is doomed. Who can save us? How can we get resource efficiency back on track in a Microserviced world? Find out at muCon! Jump to the Programme Page! 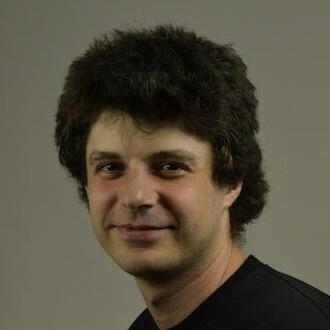 Daniel Torok will share the challenges faced with his team at Prezi... we're looking forward to this one! I'm really excited to joining muCon this year. This is my first time at this conference, but attended several Skills Matter events already and they always have great quality. I'm really looking forward to this one too. Working with microservices means bumping into problems every day, problems without an obvious solution. Given the popularity of this architecture a lot of documents can be found about various topics, there is a great amount of knowledge provided by different people having the same problems. The difficulty, however, is that the problems just look the same, in reality they are just very similar, but all different in some aspects. Figuring out whether something will work for us needs deep understanding of our and others' original issues and shaping their solutions to our environment. Furthermore, there are also topics not too many companies talk about. My presentation will cover a topic like that, how and why to think about proper inter-service authorization, and how we started to introduce it in very small steps. My talk will be aimed at anyone who's interested in understanding the differences between the authentication methods, has security in their mindset, or likes to see how a company with 100+ engineers introduces changes affecting their whole backend infrastructure. Our programme committee member & muCon speaker Simon Hildrew explains why muCon is the place to learn and share skills on all things microservices! I'm really excited to be involved in muCon 2016 both as a speaker and also as a member of the programme committee. It was incredibly difficult to sort through all of the amazing talks that were submitted, but the resulting line-up is looking rather excellent and I'm looking forward to seeing it all come together on the 7th and 8th. My talk is going to cover one of my experiments with serverless and should be of interest to anyone who wants to know a little more about suitable and unsuitable use cases of AWS lambda. I can see serverless continuing to be a hot topic over the next 12 months as a way of significantly reducing the infrastructure overhead of working with dozens or hundreds of microservices. Whilst the topics I'm most interested to hear about are service discovery and monitoring of distributed apps; I'm most looking forward to meeting everyone and hearing stories from other organisations. Finally, the kid in me is looking forward to being given permission to play with Lego for work (or at least that's my hope from David Pollak and Luke Hohmann's talk - is there a workshop?!?). Lego? Who does not love them? David Pollak and Luke Hoomann anticipate on what promises to be a very interesting talk! As the development community rushes towards microservices as a better way to build scalable IT systems, I'm finding that the teams are struggling to communicate how they get from where they "are" to where they want "to be". This problem is only made worse when architects and developers use arcane notations that no one really understands as weapons. I am excited to join muCon London where I will be presenting a disarmingly simple and yet cunningly effective way to cut through the crap that is associated with all too many architectural discussions: Visible Architectures. Using Duplo models and equipping technical leaders with the skills and frameworks needed to communicate needed architectural changes and build towards scalable microservices. Our talk will be focused on building strong coalitions within technical teams and their business counterparts. Of course, there is more to movement to microservices than just mapping out what you have and what you want. Accordingly, while I am at muCon I hope to learn as much as I can about how others in the community are tackling rearchitecture challenges. Our talk will include an extensive discussion on how to engage remote and distributed teams in the conversations. We'll the use of online frameworks in preparing for a modeling workshop, online frameworks during a modeling workshop and the ongoing use of frameworks to maintain alignment within distributed teams. It will be a grand and surprisingly fun adventure. muCon veteran Daniel Bryant explains why muCon is the go-to microservices conference in London... and not only! This will be my third time attending muCon, and I'm once again very much looking forward to chatting to the London microservices audience. This time I'm presenting "The Seven (More) Deadly Sins of Microservices", and we'll look at some of the nastiest microservice antipatterns (updated for 2016) that I've seen in my daily work as a consultant at OpenCredo. When a microservice architecture is implemented correctly, the most important benefit is agility — in particular, the ability to rapidly change a system without unintended consequences. This is primarily about implementing 'business agility', and means that as customer requirements (or the market) changes, the software delivery team can quickly react and adapt the software to meet these new requirements, and do so without worrying that a small change will create unforeseen issues (or require large amounts of testing to prevent regression). It's worth mentioning that this agility doesn't come easily, and it is all to easy to make mistakes from the perspective of the organisation, software architecture, and operations. My talk will aim to shed some light on the hardest challenges I've seen, and also give the audience some tools (both cognitive and technical) to help overcome them. The program looks awesome this year, and I'm looking forward to catching up with Sam Newman, Josh Long, Richard Rodger, Anne Currie, Peter Lawrey, David Dawson and more (there are too many interesting speakers to mention!) And it goes without saying that I'm also looking forward to meet many new peers from the audience. The technical knowledge and experience of the muCon audience means that I often learn the most from these conversations! Check out the Highlights from muCon 2016! Don't miss the 2017 edition of muCon! Engage with 400 highly experienced and passionate enterprise architects and developers exploring Microservices: at µCon - the Microservices conference! Show off your team, projects, tools or devices at your µCon conference booth! Four Full Conference Tickets to the conference which you can gift to your clients, your engineering team or members of Computing At School (teachers learning computing to teach the new National Computing Curriculum). Be remembered! Have your logo printed on all µCon t-shirts, provided to conference attendees, speakers and sponsors attending this year. Exclusive to one sponsor: space for both logo's solely dedicated to your branding or logo. SPONSOR THE µCON 2016 PARTY! Be remembered by all conference attendees, speakers and sponsors attending the party this year! Have your logo printed on the µCon 2016 Party beer mats and on highly visible party posters and pop-up banners, which are bound to feature in lots of pictures this year. Be remembered! Have your logo printed on all µCon swag bags, provided to conference attendees, speakers and sponsors attending this year. Would you like to write about muCon 2016? Do you blog on innovations on microservices? Come and join us at muCon London this year! If you blog about muCon 2016! and send us the link, we'll proudly feature you on these pages! A talk on how to move an engineering team forward without nominating a "tech lead" and leveraging the leadership abilities that each engineer naturally has.